The energy industry changes at an unprecedented rate as companies contend with continuously fluctuating energy demands. Westar Energy, the largest electric provider in Kansas, is planning a merger with another utility company in order to improve competitiveness and customer service as well as to increase market size. The sharing of resources, infrastructure, assets, and business expertise will strengthen both companies. A Philadelphia-area based developer of new drug products based on existing NSAIDs was beginning production of a new non-steroidal anti-inflammatory, at a vendor location. This product involves a proprietary sub-micron milling process that requires extensive cleaning between milling passes. Due to the logistics of this cleaning process, it is challenging to accurately predict system performance. ProModel Corporation offers all professional software packages for teaching and research purposes at an extremely discounted rate. (Signed Academic License Agreement is required.) All academic packages are available only for educational purposes and are not to be used for commercial consulting. For more details about the academic program visit promodel.com/industries/academic or email education@promodel.com. ProModel offers comprehensive training for all our modeling software. We provide basic, advanced, and refresher courses, as well as custom training taught by our expert instructors and consultants. You can choose between pre-scheduled public classes at one of our locations or we also offer private on-site trainings or jump-starts scheduled at your convenience and at your own facilities. The Simulation Essentials course is scheduled on a monthly basis and is a great way to get you started using ProModel or MedModel. To see a schedule of available courses and course outlines click here. Monthly webinars are held on a variety of topics to help you brush up your skills if you have not been using your simulation tools lately or need additional help on a specific topic. The live sessions are offered to our clients with a current maintenance and support contract, but the sessions are recorded and available for public viewing at http://www.promodel.com/services/refreshercourses/. If you have an interest in a specific topic you would like to suggest for a future webinar, please let us know at training@promodel.com. We will send one of our instructors to your location for a two- or three-day intensive training seminar for up to ten students a location of your choosing. You staff can become proficient in any of the ProModel software packages at a reasonable price. Jump-Start training is an excellent way to "jump-start" a specific project based on ProModel predictive technology. We will help you get started and take you as far as you wish to go. A great way to start a project and get some training at the same time! ProModel provides a number a training videos posted on YouTube to help you with many specific topics. 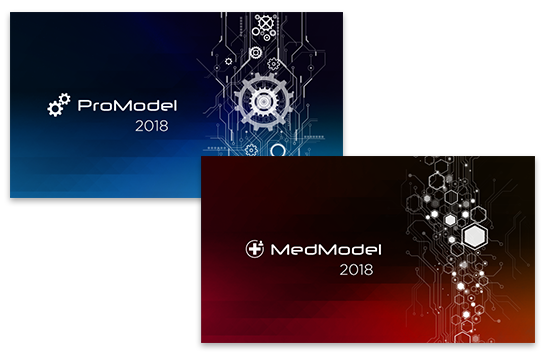 Please visit the ProModel Channel to search for videos that will give you tips and tricks to help you find solutions for your modeling projects. To learn more about the training options available that would best fit your needs, contact us by e-mail at training@promodel.com or check out our training services page. Subscribe to our monthly newsletter by filling out the form, then clicking the newsletter sign-up button below. Any questions, give us a call @ 1.888.900.3090 or email us at saleshelp@promodel.com.